I've mentioned on my various social medias that Jen Lucas Designs was going crochet in 2016! My first crochet pattern, Daphne, was released from Willow Yarns earlier this year. I now have a second crochet shawl available. 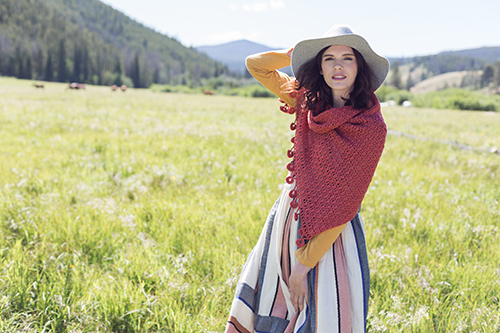 It's the Flibbertigibbet Shawlette, which you can find in the new Winter 2017 Issue of Interweave Crochet! 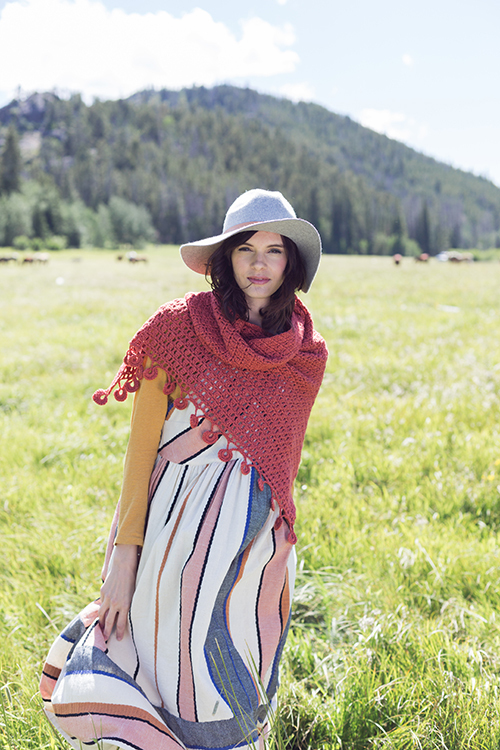 The shawl is worked sideways in a simple but beautiful double crochet cluster pattern. It increases slowly, giving it a nice shape. 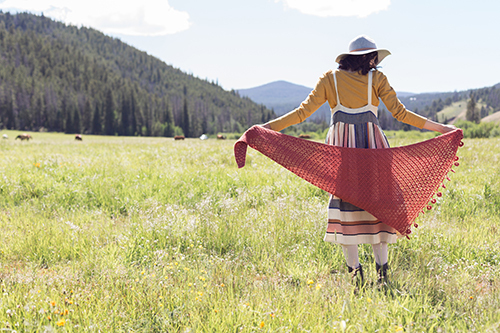 When the body of the shawl is complete, a fun edging is worked along one edge. I think the edge is a little funky - and I really like it! I stitched the sample for the magazine using three skeins of Stitch Sprouts Yellowstone. I'm obsessed with this yarn. It's so soft and the stitch definition in both knit and crochet is amazing. Seriously, go get your hands on some. Interweave Crochet Winter 2017 is now available. You can find it at your LYS, local bookstore, or on the Interweave website.